Lots Start Ending: Tuesday October 24 at 6:00pm EST – Live and simulcast On Line. The bidding on each item will be taken in order of lot number. Starting with lot 1 and continuing until all items have been sold. 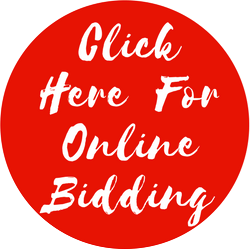 Bidding will continue on each item until no further advances are offered on that item. At that time, we will move on to the next item. You will need to pay attention if you are at home bidding on line. Any and All tie bids will go to the floor!! Where your bid falls in line depends on the progession of the bids. It is possible for an item to sell at your maximum bid but you not win the bid. Please be aware of this when placing bids. We are happy to help, just give us a call!! Pickup/Removal: Tuesday October 24 and Wednesday October 25. If you are present at the live auction, you may fill out your background paperwork after you have purchased your firearm. If everything is good, you may pick up your gun before going home. You may opt to wait and come back on Wednesday and do your paperwork and get your gun. If you are bidding on line, you can fill out your paperwork and pick up your firearm on Wednesday from 9:00am – 5:00pm. Please read all gun rules prior to bidding. Firearms: Out of State Purchases: ALL will be shipped to an FFL DEALER ONLY!!! (NO C&R dealers) Including ALL BLACK POWDER!! NO Exceptions!!! NO SALES to CALIFORNIA or HAWAII!!! Ammo: NO SALES to Alaska, California, Hawaii or Massachusetts. It is YOUR responsibility to know YOUR state laws, BEFORE bidding!!! In State Purchases: ALL firearms are subject to TBI background checks, (regardless of age). $10 for every 3 guns. 10.00 each, if gun has no serial number. Gun Parts will be subject to TBI background check. Black powder guns with interchangeable barrels will be subject to TBI background check. Must have a valid Drivers License with a Photo. Must be 18 years old for long guns & 21 years old for handguns. Must be 21 years old for a pistol grip long gun. Please check our website under gun rules for more details. Disclosure on Firearms Sale on website and receipt that firearms have not been tested or inspected for firing. Before firing, it is the BUYERS responsibility to have firearms inspected by a gunsmith. Buyer agrees to hold Powell Auction & Realty LLC harmless for any claim, injury or malfunction. Do not bid, IF you think you may get denied, IF you get denied the guns will be resold at YOUR expense! Gun Pickup: will be the day of the auction & Wednesday Oct 25th, 9:00-5:00. PLEASE read Gun Rules, BEFORE BIDDING!!! Attached at bottom of page. These are some of the best firearms we have had to offer in quite some time!!! I know, I know….you’ve heard me say that before. Well, I really mean it this time!!! Just take a look at what we have!!! 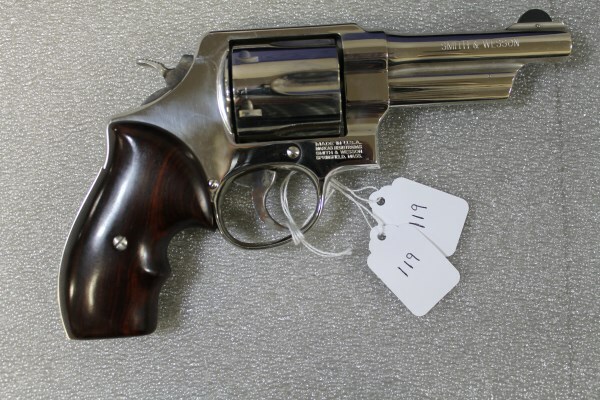 There are some rare and highly collectible guns in this auction!!! Colt, Kimber, Ruger, Dan Wesson, Glock, S&W, Springfield, H&K, Browning, Remington, Winchester, Wilson Combat, Sig Sauer, American Tactical, Arsenal, Norinco, Weatherby, Marlin, Thompson Center, Black Rain Ordanance, LWRC, Ed Brown, Les Baer Custom, FNH, H&R, Ithaca, Mossberg, Sharps & Hankins, Hi-Standard, Taurus and Many, Many More!!! Smith & Wesson: 325 Thunder Ranch, 21-4 Thunder Ranch, 442-1 Airweight, 10-14, sw1911, 628-8, M&P45, M&P9 Shield and more!! Colt: MKIV Series 70-1911, 1911 Gov’t Combat Elite, Colt Defense/Law Enforcement, Frontier Six Shooter SAA, Wiley Clapp Commander, DA41, New Service 1917 and others!! Glock: 19, 23, 43, 26, 30SF and more!! Browning: High Power, B-SIS, T-Bolt, 1885 Low Wall, A-Bolt, Auto-22, A-5 Standard, A-5 Magnum, Buck Mark, BLR and more!!! Remington: 547, 700, 11-48, 3, 6, 25, 7600, Nylon 66, Target Master 41, Mohawk 10C and others!! Winchester: 8 model 12’s; including a Ducks Unlimited, 20 ga. and 12 ga., 04A, 1887, 1902, 36, 24, 59, 67, 97, just to name a few!!! 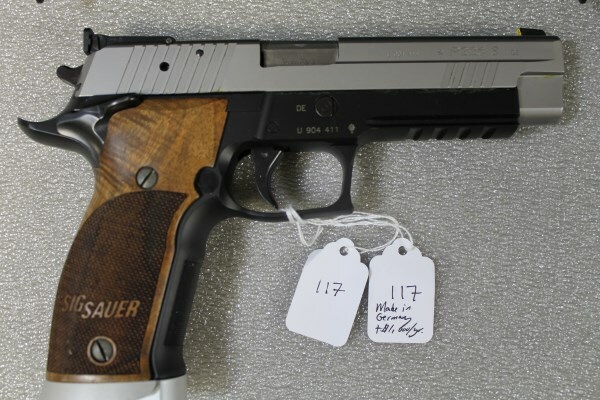 The Belles of the Ball: 2 Sig Sauer P226 x-fives manufactured in Germany. One in 2013 and the other in 2015. Neither has been fired. These are new in the box. This guns on Gunbroker.com command a price ranging from $6,000 to $8,000 each. Also an Isaac Hollis and Sons – Custom Percussion Muzzle Loader in a “4 bore” caliber. This is a rare gun!! 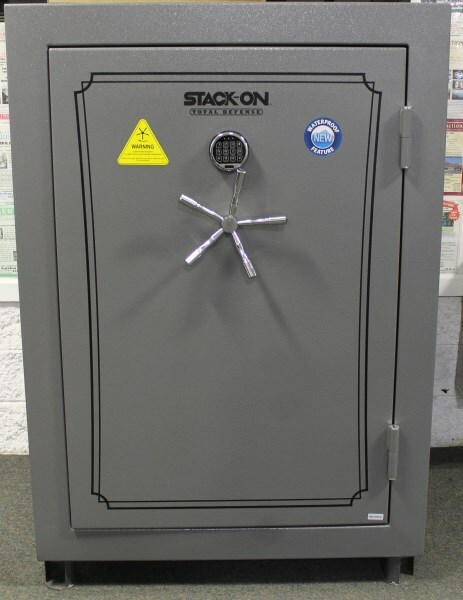 We also will have 2 gun safes (with working combinations), some knives, ammunition, soft and hard sided gun cases. Keep checking this website for updated list and photo’s as they become available. 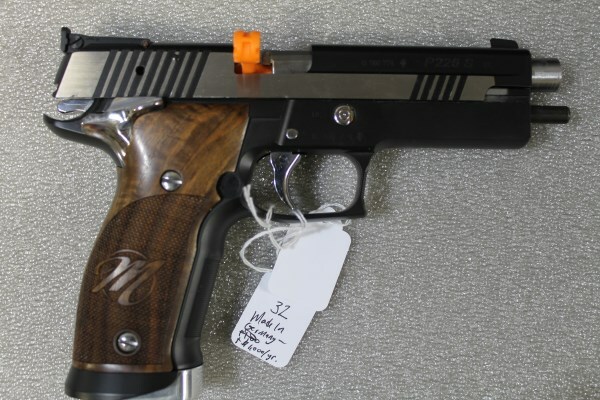 Lots of makers, models and calibers in this auction!!! Don’t miss it!! !